Welcome to the Atletico Madrid football accessories store, your number one online shop to find a vast range of accessories. If you're looking for a gift for a fellow supporter then look no further! Our goods here at Soccer Box are 100% authentic supplied under license for the clubs. Explore this ship to find an array of footballs, stationary sets and many more high quality accessories. Atletico Madrid plays in the top flight of Spanish football and has a huge fan base, making our online shop a popular choice for many supporters to get theirs kits and merchandise. If you are wanting to pledge allegiance in a discreet manner then take a look at the items provided. Atletico Madrid Football Accessories In Stock Now for Orders Online! The Atletico Madrid football kit is a very distinct football kit. If you navigate to the home kit category using the sub-category menu to provided to the left you will find our range of official replica Atletico Madrid home strips. These strips consist of their traditional red and white strips on the shirt, along with blue shorts and socks and are manufactured by Nike to the highest quality! 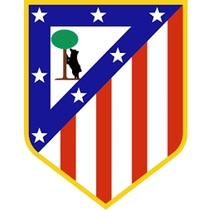 Since 2001 Nike has been the suppliers for the Atletico football team and is sponsored by Plus500 since 2015. Our football accessories are manufactured under license officially for this mighty Spanish football team. Whether you're looking for scarf to aloft on match days, a piece of decoration for your room, or stationary to take to school we are confident that you will find it here at Soccer Box. If kits or accessories don't take your fancy then be sure to head over to the Atletico Madrid training kits, where you will find a vast range of jerseys, jackets and tracksuits in both kids and adult sizes. Our training apparel is also produced by Nike to the highest standard, leaving it no choice but to order your kit today! Add your desired piece of Atletico Madrid football accessories into your shopping cart to proceed to an online secure payment. Soccer Box proudly offers a variety of shipping services to enable our customer to receive their orders no matter where they live in the world!